Good day, Clint here. It’s a perfect gorgeous Monday morning, and I was meant to be on a coaching call right now to speak to one of my clients that I work with. But she’s feeling good, she’s out with the family. And so I’ve got some time to allocate to business and I thought what I’ll do is I’ll record a podcast about Vitamin B 12 which I’ll do just now. But before I get into the content, I just wanted to thank you for listening to these podcasts. This is one of the rare ones that I’m doing by myself, and as you know you tune in all the time most they have guests on who talk about their stories or have doctors and so forth who share further insights into a common topic that we’re all interested in which is reversing inflammatory arthritis. So I just wanted to say thank you for watching or listening to this content, and for giving me the feedback that it’s helpful, and that it’s benefiting you, and it’s actionable. So that you can actually take the information, use it, and improve your situation one way or another. 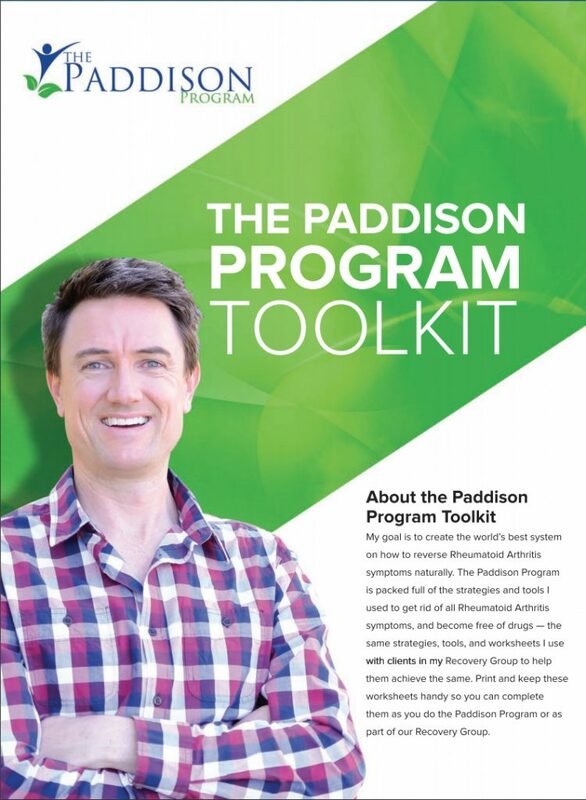 Regardless of where you’re at whether you’re just getting started or even prior to that whether it’s not started on the Paddison Program yet. You’re sitting on the fence and you’re listening to this information and wondering if it’s going to be applicable to your situation or whether or not you’re just getting started or whether or not you’re well into it. And you just need some of the little tips and tricks to keep you moving forward. Bottom line is thank you very much, thank you for the positive feedback whenever I get nice feedback about the show it makes me motivated to put more content out there. So let’s talk about Vitamin B12. There was a question mark from someone who is part of my RA audience regarding the need for Vitamin B12, and whether or not it could be sourced from non supplemental sources. So I just wanted to clear this up, because I don’t want anyone confused about this. So what I’m going to do is pull out the information that I have here as my latest guidelines and latest content that I’ve put together for my new book that I am working on. And here’s the content that’s going into the book. Vitamin B12 was actually created from bacteria. So if we wind back the clock a millennium, humans might have ingested some Vitamin B12 from partially unwashed root vegetables carrying traces of bacteria rich soil. However the modern days of hyper cleanliness and processing and grocery style convenience ensures that B12 is lost. Now if you spend some time browsing in a health food store you could be forgiven for thinking that you don’t need to supplement Vitamin B12,if you’re on a meat free diet. For example, many manufacturers of packaged seaweeds, kombucha drinks, and nutritional yeast, all this Vitamin B12 as an ingredient. I’ve also heard some speakers claim that Vitamin B12 is in the air that we exhale, and that we’re actually exchanging Vitamin B12 with each other when we communicate in close proximity. Further studies have also shown that the body can store Vitamin B12 supplies for several years and the development of deficiency is low. Stepping away from the text for a moment, I think Dr. McDougal cites that it takes about three years for the average person to deplete their Vitamin B12 stores, if they had normal stores to begin with but that’s come from something I read on his website. Back to the content here. Despite all of this I recommend supplementation of Vitamin B12 on a plant-based diet to ensure that we are providing coverage. Firstly, Vitamin B12 deficiency is a serious condition, so it’s prudent to be cautious and proactive to avoid it. Secondly, studies indicate that while some seaweed, mushrooms, and fermented foods, can be a useful source of Vitamin B12. And now in adverted comma’s the data are still insufficient. Okay so further, a major issue at hand is one of absorb ability. From Chapter 3, we learned that rheumatoid arthritis patients suffer from more malnutrition than controls. And the bio availability of vitamin B12 in humans is dependent on an individual’s gastro intestinal absorption capacity. So in other words if you have a gastro intestinal issues you are less likely to absorb Vitamin B12, and knowing that RA is driven by a gastro intestinal disorder then supplementation is an important form of insurance to give our bodies the best chance of adequate intake. So stepping away from the text for a second, I just want to make sure this point is really clear. Vitamin B12’s absorption depends on the quality of your digestive system. We know from all of the scientific work that’s been published about the digestive system and rheumatoid arthritis, that people with rheumatoid arthritis have a digestive disorder. That goes back to my acronym of BLAME, which is bacterial overgrowth leaky gut acidosis acid deficiency in the stomach mucosal lining depletion and enzyme deficiency. Okay so if we’ve got all this going on obviously we have a digestive disorder. So the three natural forms of Vitamin B 12 that you can purchase are methylcoballimin, adinoslyecobalimin, and hydroxocobalimin. I hope I’ve pronounce those correctly, all of these have been shown in clinical studies to improve Vitamin B12 status. These are bio identical to the Vitamin B12 stores occurring in human physiology. So a supplement based on these natural B12 forms is ideal. To make sure you look for those 3 types and the spellings of those I recommend you refer back to the transcription of this podcast episode. Go to www.PaddisonProgram.com/vitaminb12 all in one word. Good practice is to check your Vitamin B12 levels occasionally via a blood test. This may be done every six months or every year. If vitamin B12 intake is steady, and your markers continue to look fine. So that’s the content I wanted to share on Vitamin B12. Make sure if you’re on a plant-based diet whether that be the Paddison Program or any other variation of a whole foods plant based diet. 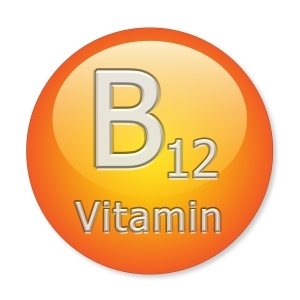 Make sure you get a VB12 supplement, take it for insurance to make sure that you don’t get a B12 deficiency. And occasionally get your B12 tested to make sure that all looks fine. If you’d like to discuss brands or dosages or where to buy them or other questions like that, come join myself and others who are members of the Paddison Program Support platform over at www.PaddisonProgram.com/support. Wherever you are in your healing journey, I’m sending you wellness. Once again thanks for listening to this podcast and have a happy Healing Day.